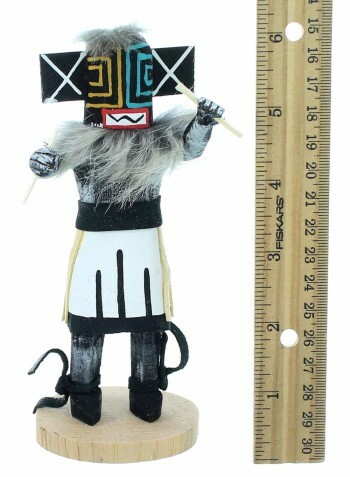 Kachina is approximately 6-1/4" tall including a 1/4" base and is 2-3/4" wide at widest points. 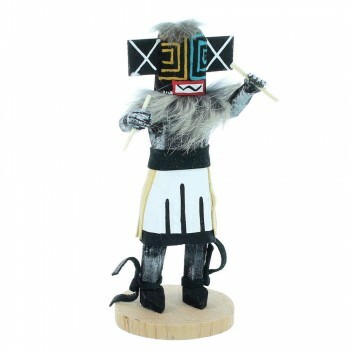 The Sunface Kachina represents warmth, shelter for the old, bright future, and playfulness for the young. 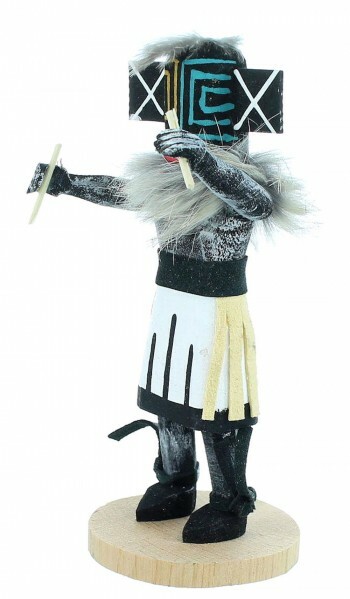 This Kachina doll was hand crafted by Navajo artist B.C. 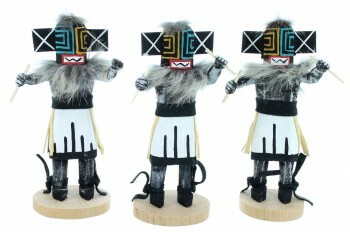 The Kachina doll is hallmarked. 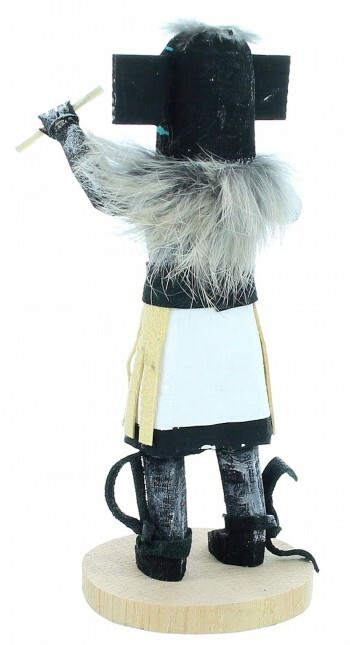 Garment patterns may vary slightly.